Towing and Storage: If you have a sober, licensed passenger in the car with you when you are arrested, the police might let that person drive your car home for you. Otherwise, it’s getting towed. According to a local (San Luis Obispo County) tow yard, the tow will cost $260 and storage will cost $70 per day. The first $70 is charged the minute your car arrives at the yard. So, you’re looking at $330 right off the bat, and if you don’t pick up the car within 24 hours, it’s $70 per day after that. The tow yard representative I spoke with said the biggest DUI tow and storage bill he had ever seen was $3,200. Ouch! Bail: Most first time DUI’s don’t result in bail being set. Usually, the police release you on a promise to appear in court on a certain date, assuming you’re sober enough to take care of yourself and have a ride home. But, sometimes bail does get set and you have to post it before the jail staff will release you. In San Luis Obispo County, bail for a first time DUI is $5,000. If you pay it yourself, you get the money back when the case is over. If you use a bondsman, he will post the bail for you but charge you a 10% fee, in this case $500, which you don’t get back. Insurance: You better believe your premiums are going up. For the next 3 years, your insurance company can and will increase your premiums by at least half, and can double them. Worse, for the next 10 years, you are ineligible for good driver discounts, which usually save you as much as 30% off of your premiums. So, if you paid $2,000/yr for insurance before the DUI with a good driver discount, you’ll be paying close $4,700 after your conviction. Insurance companies hate DUIs. Court fines: In San Luis Obispo County, the judge will fine you $1,400 if you are convicted of a DUI. More if you’ve had one before. There is also a charge for probation if the judge thinks someone needs to keep an eye on you for the next couple of years. That amount varies. Judges hate DUIs too! DUI Classes: Your license will be suspended if you get a DUI. To get it back, you have to complete a DUI awareness class. For first timers, the class lasts 3 months and costs $984. If you blew a .15 or higher on the breath test, the class lasts 9 months and costs $1,766. The costs go up for multiple offenders (more than one DUI). That class lasts 18 months and costs $3,100. But wait, there’s more! Registration for the classes costs $200, and once in the class you get charged for various things, like $28 for urine screens, $46 for an absence, and $100 if you need to be reinstated. 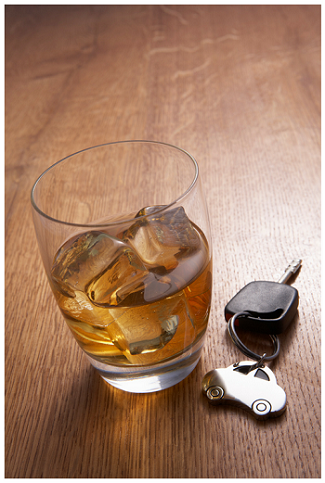 DMV fees: To clear your DUI suspension, you’ll need to prove you completed your DUI class. The class provider will give you a certificate of completion, which you you submit to the DMV along with a $125 reissue fee. Total: So, if you’ve never been convicted of a DUI before, had a blood alcohol level below .15%, and were enjoying a good driver discount with your insurer before the DUI conviction, you are looking at a hefty financial hit of upwards of $6,000. With that much at stake, it’s definitely worth your while to hire an attorney to seek out defenses for you and fight for you in court and with the DMV. Of course, the attorney will charge you a fee for this. How much? Give me a call and I will let you know. (805) 723-0711. The moral of the story- don’t drive under the influence! !